Whether you prefer exploring cities or escaping to the countryside, add some luxury to your next trip by choosing from many of the hot tub holidays out there! With guaranteed relaxation after a long day of sightseeing, an adventurous day of hiking or an exhausting day of sunbathing, a hot tub is exactly what you’ve been missing on all your holidays until now! Add a touch of sophistication to your next ‘staycation’ and try camping with a twist. 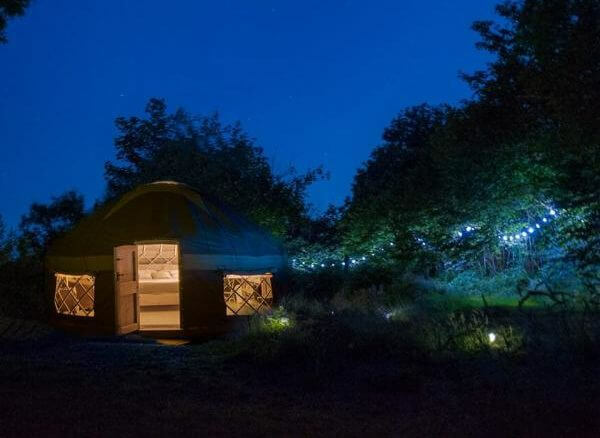 Tucked away in the woods in South West Wales, near Tenby, a ‘glamping’ yurt with a luxury hot tub offers total seclusion and relaxation from the modern world. Located in the woods, the accommodation offers all the luxury of a hotel room with the added beauty of being outdoors, surrounded by nature. 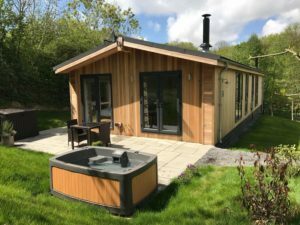 Glamping is the ideal trip away with friends or a loved one, and this luxury hot tub break will convert even the most camping-shy! Be at one with nature with one of many hot tub holidays in Iceland, that’s as authentic as can be. 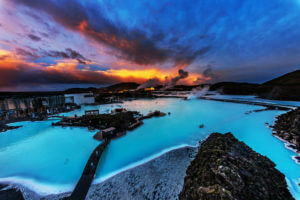 Nestled between dramatic volcanic landscapes, Iceland’s Blue Lagoon offers total relaxation for every visitor, and its natural hot spring water is said to offer a number of health benefits. The Blue Lagoon natural spa has an average temperature of 39 degrees, which is the same temperature as a hot tub. Visit the spa by night for the best chance of experiencing the spectacular northern lights. 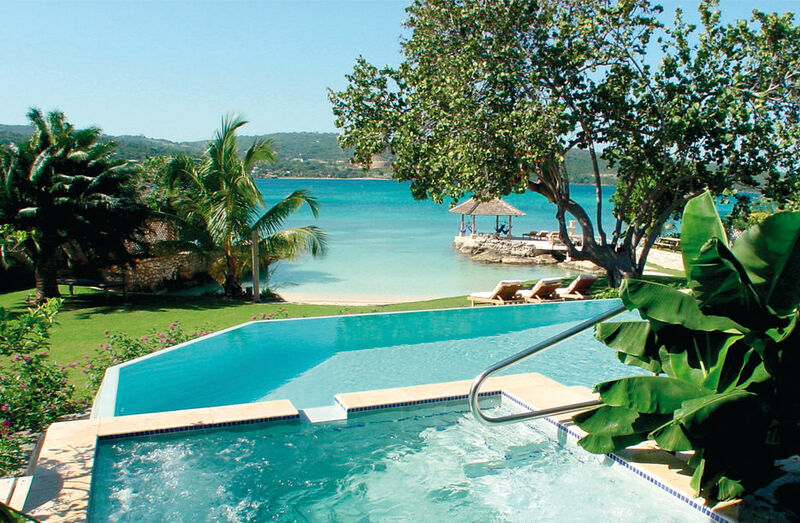 Enjoy breathtaking views straight from the comfort of the hot tub at the Amanoka villa, situated right on the edge of its own private beach on the beautiful Caribbean island of Jamaica. The aptly named ‘Aman-oka’, or ‘peaceful home’, boasts luxury in every room, with a perfectly-positioned hot tub being the cherry on top. Get a real taste of island life on Jamaica in this luxury villa, perfect for bigger groups as well as romantic getaways. A hot tub break in the Lake District is high up our wishlist when it comes to holiday ideas. Starting the day with a scenic hike through gorgeous landscapes and finishing it off with a relaxing soak in a hot tub, under a blanket of stars, sounds like holiday heaven and the perfect balance of active and relaxed. This is one staycation you can enjoy whatever the weather. There are many places for hot tub breaks in Budapest with a traditional twist. The city’s natural hot springs have been enjoyed since the Romans came to Hungary and built the first official baths. The mineral springs feed around 50 public baths in the city so you’ll have plenty of locations to choose between. One of the most popular places to enjoy the springs is the Szechenyi Baths, which offer spa-goers a relaxing experience against the beautiful backdrop of the ancient bath buildings. 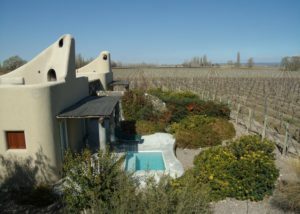 Positioned between one of the worlds best wine routes and overlooking the stunning Andes mountains, the Cavas Wine Lodge offers a wide range of activities for any holiday goer. Relax and unwind with a glass of the vineyard’s award-winning wine, while soaking in a hot tubs in the on-site spa. Why not add a little holiday luxury to your own home with the addition of your very own hot tub? Investing in one of our HotSpring hot tubs will not only inject the feeling of a ‘hot tub holidays’ into your own home, it will also provide you with some essential escapism and relaxation after a hard day’s work, as well as offering some of the same health benefits as found in the natural springs of Iceland and Budapest. With a hot tub in your home, you’ll feel like you’re on holiday every day!